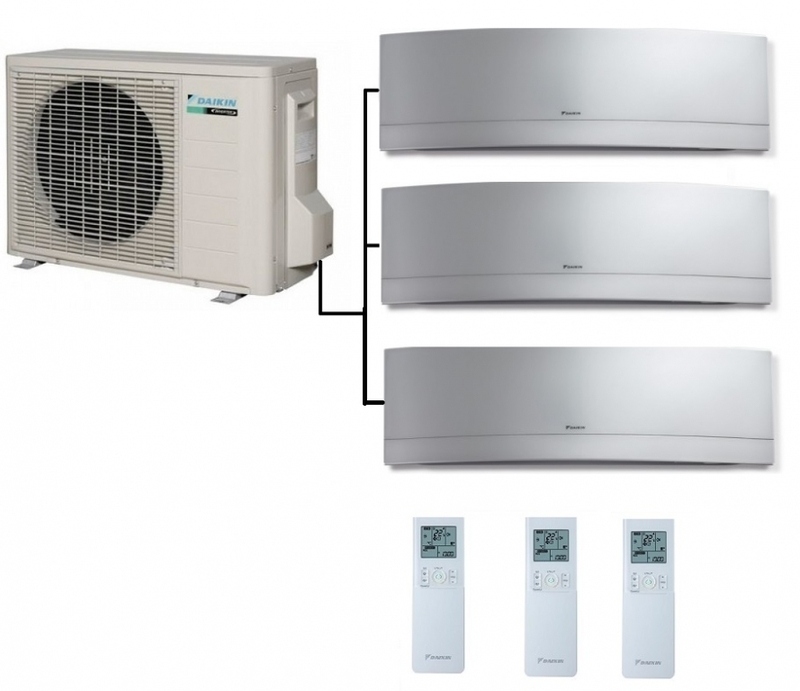 The triple split multi outdoor unit from Daikin 3MXM52N can run 3 Emura wall mounted units, each indoor unit comes with its own remote control. The Emura indoor units are in a silver finish and can provide both heating and cooling for year round cost effective climate control. Features include Wi-Fi capability for the indoor units and an air purification filter, useful if you suffer from allergies such as hayfever. Not these are the new R32 refrigerant models.